With the quadBRI 2.0 PCIe ISDN strong> turns your legacy ISDN equipment (or analog equipment behind an ISDN TA) into powerful Voice over IP devices. It provides a soft migration path from ISDN to the new Voice over IP technology is possible. Connect your ISDN PBXes at different locations with Voice over IP and lower your phone costs for company internal calls close to zero. Transparently add least cost routing over ISDN or VoIP carriers to reduce costs on outbound calls significantly. The quadBRI 2.0 PCIe ISDN turns your legacy ISDN equipment (or analog equipment behind an ISDN TA) into powerful Voice over IP devices. It provides a soft migration path from ISDN to the new Voice over IP technology is possible. Connect your ISDN PBXes at different locations with Voice over IP and reduce your telephone costs for company internal calls close to zero. Transparently add least cost routing over ISDN or VoIP carriers to reduce costs on outbound calls significantly. 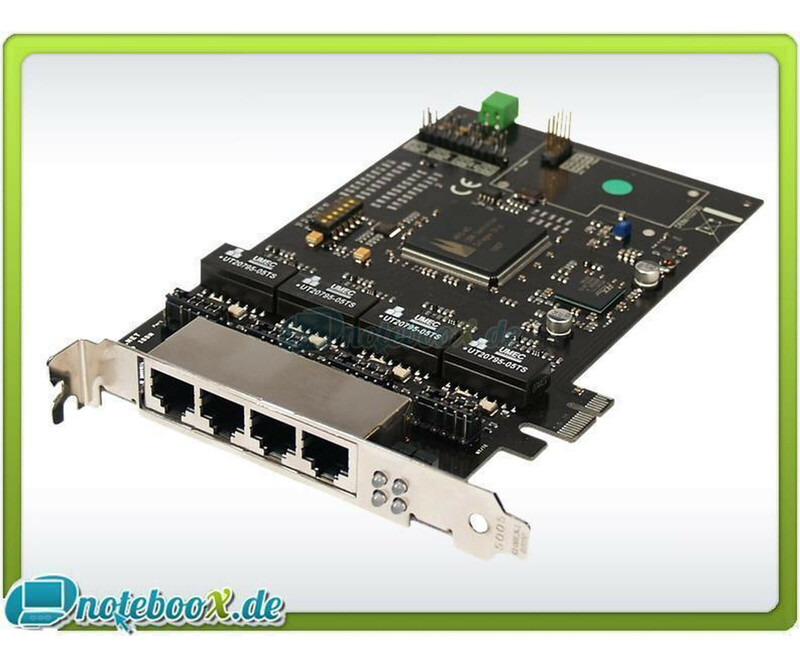 The quadBRI 2.0 PCIe ISDN You have full ISDN BRI connectivity to your Linux machine. The included drivers are fully subject to the GPL and available for Linux 2.4.x and 2.6.x kernels. All 4 BRI ports can be configured by jumpers either NT or TE mode. This port configuration is detected automatically by the driver. The drivers can handle the user and network side of euroISDN (ETS 300 102) signaling, support for National ISDN 1 (Q.931) is planned. Several quadBRI 2.0 PCIe ISDN can be interconnected over an external PCM bus. The card has the ability to switch individual channels active together (B-channels are connected directly to the card without latency and not using the host CPU). This function is also available via multiple connected cards (eg B channels on different cards can be actively switched).